Do you often feel overwhelmed with balancing work, school, relationships, or other commitments? You’re not alone! Are you an international student or young professional in Canada who’s been struggling to integrate into the Canadian context? Do you often feel isolated and homesick? You’re not alone! "How to Not Give a Sh*t" is a workshop designed to equip you with stress reduction techniques to help combat day to day bullsh*t. We'll look at the science behind stress, discuss how we deal with it, and strategies to manage it. Identify and understand the six types of supports that others provide to each of us. You may have the best of intentions but sometimes, the message doesn't come out quite right. We get it! Whether you're talking to a partner, a friend, or a colleague, many people have never learned effective ways of communicating. Good communication does not always come naturally. Learning how to communicate in an open and healthy way is an essential component to growth and success both personally and professionally. Real Talk is a communication 101 workshop to learn techniques and strategies to improve your skills. Participants will explore all the secrets of good communication including improving listening skills, rephrasing for better relationships, dealing with challenging situations, and more. Click here to learn more about your host, Shaun Ali. Spaces for this free workshop are limited, so reserve your spot now through Eventbrite! If you’ve ever asked yourself, “how do I love myself,” “how can I accept myself,” or maybe “how do I nourish, support, and care for myself,” join us! In this free workshop, we’ll be exploring radical self-love and self-care to tap into our inner power and build up a solid foundation of self. Our thinking creates our reality, and through meditation, visualization, role-playing, group work, and other exercises we can build a framework that fosters self-confidence and worthiness. We’ll be learning practical tools and strategies on how to empower ourselves to feel secure, confident, strong, and capable. Leave this workshop feeling energized and empowered, radiating positive energy from the inside out. Melissa di Fonzo, MSW RSW is a therapist who brings a compassionate, collaborative, and non-judgmental approach into her work to help her clients empower themselves and take action. She has a passion for helping people achieve true and lasting changes in their lives. Melissa’s holistic approach to practice draws on her training in psychodynamic psychotherapy, dialectical behavioural therapy, cognitive behavioural therapy, acceptance and commitment therapy, narrative therapy, mindfulness, and solution-focused therapy to help individuals gain awareness of the connections between their mind, body, and spirit, so they can gain a deeper understanding of themselves and work towards greater self-awareness, self-esteem, and self-acceptance. On November 23, come join 100 of your fellow Toronto entrepreneurs for an evening of storytelling and sharing. A recent study has showed that entrepreneurs are twice as likely as the general population to suffer from depression, almost 3x as likely to have bipolar disease. Almost every entrepreneur can relate to feelings of intense anxiety. Yet these stories remain untold and unshared. We suffer in silence, afraid to take off the mask and admit that we're struggling. We have to put on a shiny, happy face for our employees, our investors, our customers... the whole world. And that makes the struggle even harder. It's time to open up the dialogue. It's time to remove the stigmas and taboos around mental illness in the world of entrepreneurship. On this intimate evening, 4 prominent local entrepreneurs will share their stories: stories of struggle, stories of loss, stories of darkness, and stories of pain. Some will be sharing their story for the first time, some for the first time in public. They'll also share stories of their healing journey, and how they coped or are coping with mental illness. You'll also be invited to share your own stories of struggle - should you feel comfortable - in a safe, welcoming environment. Let's normalize the conversation around mental illness. Let's get talking. NOTE: although this evening is by and for entrepreneurs, all are welcome. Just a few years ago, Jayson was stuck on the entrepreneurial ‘hamster wheel’ building a business he hated, to buy things he didn't need, to impress people he didn't even like. Bankrupt on every level, rock bottom became the solid foundation on which he rebuilt his life. Fast forward to today, and his life - as the founder of Mastermind Talks and host of the Community Made podcast - is virtually unrecognizable from what it was only a few short years ago. Sang is a man who wears many hats: he's launched some of the best known modern Japanese and Korean restaurant brands in Toronto. He's been LCBO’s Featured Chef; CNE's Celebrity Chef; USDA/Taste U.S. Chef Ambassador to the RC Show; South Korea's Ministry of Foreign Affairs Chef of Hangawi. He appears regularly on CTV's popular national daytime talk show, THE SOCIAL. His own cooking talk show, DISHING IT WITH CHEF SANG, where he assists non-professional cooks (influencers, disruptors, and industry leaders from all walks of life) create their favourite dish, will launch in 2018, on TAG TV. He is also an accomplished writer and the creator of SUSHI MAKING FOR THE SOUL, Canada's most popular hands-on sushi workshops. With over 18,000+ participants since its inception in 2008, it is widely lauded for the work it does to raise awareness around food literacy and child poverty issues. Debbie Horovitch has been an entrepreneur in Toronto for the last 10 years, after a 15-year career as a media buyer for Toronto advertising agencies, and a lifetime passion for media channels and advertising. Her business helps storytellers find the confidence to produce authentic, compelling, and effective content and publish it in multiple formats, to create a groundswell of marketplace support for their cause and business. Since leaving her career she has consulted and created training programs in social media community management and advertising strategies for The Globe and Mail, Nissan Cars, and a variety of agency client brands and small businesses, including individual professionals. As a Fairy Godmother Book Publisher & Author Promoter, in the last 3 years she has published and helped more than 30 people become bestselling book authors. Megan is a therapist and entrepreneur focusing on helping ambitious leaders believe they are enough. 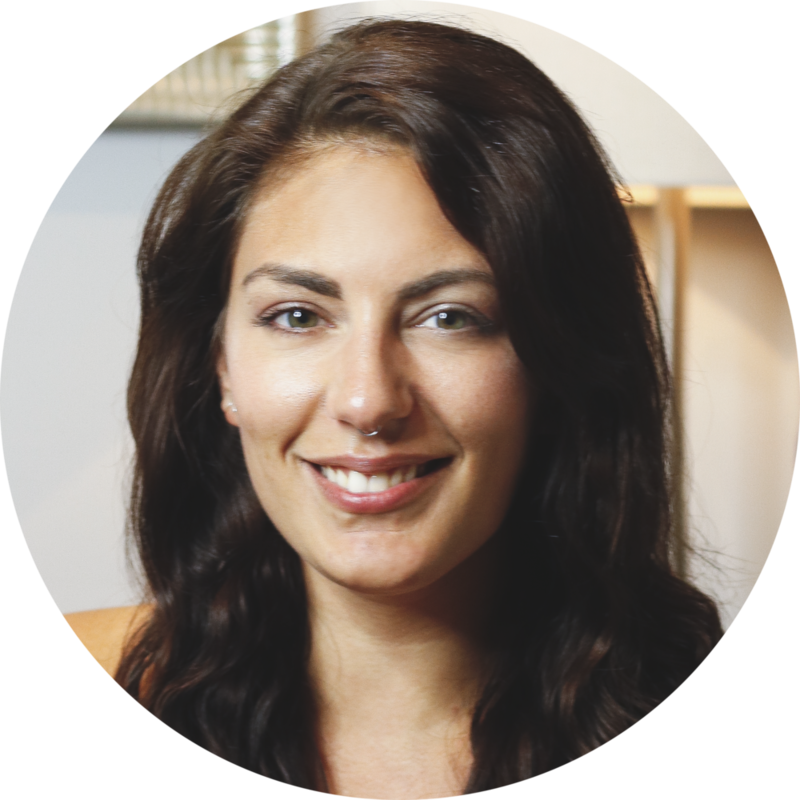 Originally from Cape Breton, she’s the Founder of Shift Collab, an integrated healthcare company that offers both therapy and mental wellness education in a simple, relatable, and actionable way. Since 2016, Megan has taken Shift from a small practice to a team of 40 therapists and educators, and has made the company a leading provider of therapy and wellness training to top companies, institutions, and insurance groups across North America. Outside of the the firm, Megan is active in the entrepreneurial community as a mentor and advisor, and is the proud dog mom of Arthur, a joyous Boston Terrier. Mike is a Toronto-based serial entrepreneur who is passionate about supporting the Toronto entrepreneur scene and building community. His 1st business, Sacred Rides, is now in its 22nd year and is ranked "#1 Mountain Bike Tour Company on Earth" by both National Geographic Adventure and Outside magazines. His latest business, Mastermind Adventures, brings together inspiring entrepreneurs in spectacular places around the world, for learning, connection and incredible adventures. Mike is also the former Dean of Social Enterprise at the world-renowned Centre for Social Innovation, former Entrepreneur-in-Residence at the Toronto Public Library, a devoted husband, and father of three incredible kids. Jordan is a serial entrepreneur that helps companies and institutions build cultures of mental wellness. He leads Shift Collab with Megan, and is responsible for its educational programming and product development — including its post-secondary student benefits program, Real Campus, offering relevant, innovative mental wellness support to nearly 200,000 enrolled members. He also speaks internationally and is a 3-time TEDx alumni. Jordan is active in various entrepreneurship communities, often supporting leaders in sharing their BS-free stories. We maintain our cars, homes, and bodies, but we often neglect or forget to work on our relationships! No relationship is so perfect that a little tune-up couldn’t help. 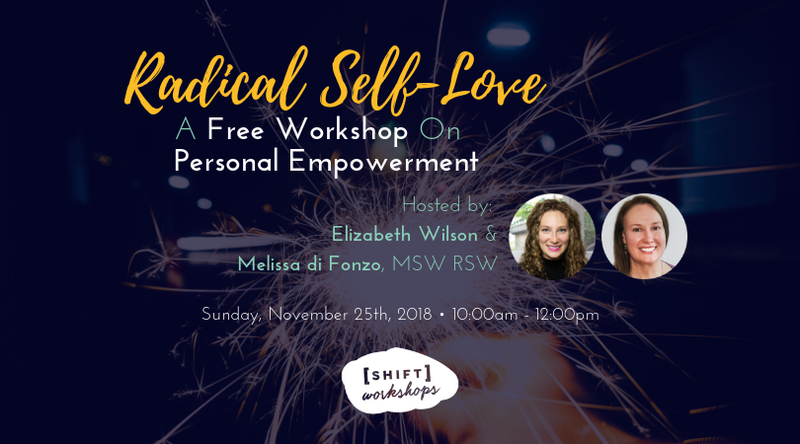 Join Suzette McLarty MSW RSW, clinical therapist at the Shift Collab, for this free workshop on #SelfCareSunday to tune up your relationship. This workshop will change your perspective of what you thought couples counselling was all about! Taking practices from Gottman Couples Therapy, Acceptance and Commitment Therapy (ACT) for Couples, and Positive Psychology, Suzette will guide couples through several engaging, informative, and helpful exercises to help resolve conflict, improve communication, and strengthen your bond with your partner. Walk away with new skills and techniques to break negative patterns and refocus on connection. This is a free workshop and spots are limited! Reserve your spot now through Eventbrite. Only 1 ticket required per couple. Bonus: want to dig a little deeper? Suzette will also be reserving one complimentary couples session immediately following the workshop from 1-2pm for any couple that would like to focus more intimately on identifying and addressing their marital/relationship issues as well as teaching new tools to build on the love you have for each other. Email info@shiftcollab.com to book! Set against the stunning backdrop of the Xiaolan Health Centre whose space strives (and succeeds) to embody the principles of harmony and balance within the architecture itself, this workshop focuses on the exploration of self and self-care through the medium of the zine. Integrating mindfulness, artistic expression, found imagery, the written word, and narrative as a way of reconnecting with your identity, your story, and your body is the goal of this three hour group session. Dissect, analyze, or document a moment, a challenge, where you’ve come from, or where you’re going (any part of your story, in part or in full) by transferring thought to paper, collecting symbols of your past, writing prose or poetry, and binding it together in a folded paper package unique exclusively to you. Cut it, paste it, paint it, draw it, write it, collect it, collage it, bind it: trust the process and trust yourself. Warm up exercises will get the creative energy flowing before diving into production on your zine. Supplies, snacks, and safe space provided. You are strongly encouraged to bring and incorporate any materials that you want to specifically explore or are meaningful to you in any way -- photographs, poems, drawings, etc. We are so excited to share this journey with you. Angelina Coccimiglio is a visual storyteller. With an educational background that is equal parts fine art and commercial photography & design, her work merges a variety of mediums and often explores themes of gender, identity, and self. As a multidisciplinary creative professional, her strengths lie in her dynamic combination of technical acuity, theoretical studies, and her deep fascination with the way we interact with images, media, and each other. We're all searching for connection in this world. We spend so much time and energy building walls and hiding in the shadows from our feelings while at the same time aching for authenticity and connection. 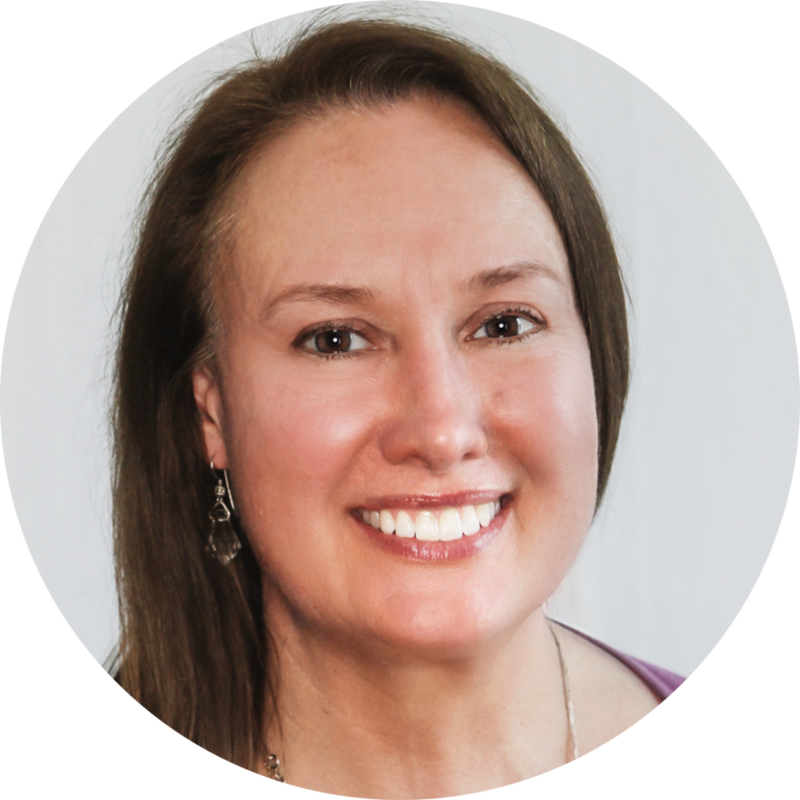 Kayla Patchett strives to support you in diving head first into your emotions to unapologetically be your authentic self. Kayla is a Registered Social Worker committed to supporting others in leaning into vulnerability and coping with diverse mental health challenges. AGO's Art Matters Blog: What Is A Zine? Based on Brene Brown’s book, The Gifts of Imperfection, and her highly experiential workshop, The Daring Way™, participants will be invited to examine their beliefs and behaviour with respect to shame and vulnerability, and how to begin to live wholeheartedly. This workshop will be an interactive conversation about participants’ experiences with shame, vulnerability, identities, and values. As a Certified Daring Way™ Facilitator, Amreeta Kaur, MSW, RSW, is dedicated to working with participants to move towards a more authentic and wholehearted living, as she herself attempts to do with her own growth. This 90-minute workshop is geared for anyone who often feels like an imposter or is managing with perfectionism, and often wonders who they truly are. This workshop is for anyone who feels lost and is trying to find a way back to themselves. By attending this workshop, participants will come away with an understanding of the physiology of shame and vulnerability and develop a foundation in defining their identities and values. Snacks and refreshments will be provided. We hope to see you there! Secure your spot now through Eventbrite. Do you struggle with making assumptions in your relationships? Do you ever feel angry or hurt by something only to realize you were off base? Do you find yourself overanalyzing a recent conversation and feel upset by what someone said or didn't say? Have you ever been offended by a text message or email only to realize afterward that it was a miscommunication? Learn how to avoid jumping to conclusions and feel more confident and happy as a result. Shift therapist Jaylin Bradbury is here to teach you a simple exercise you can apply to your daily life to improve your communication, decrease your disagreements with others, and reduce feelings of social anxiety. You'll leave this workshop with the skills to quit assuming the worst, stop jumping to conclusions, and calm your inner critic. Struggling with the day to day grind? Feeling overworked, over tired and overwhelmed? Feel like you're faking it? Join Megan Rafuse, the Founder and Clinical Director at Shift, for this free workshop on your #SelfCareSunday to learn how to recharge your batteries, challenge those imposter thoughts, improve time management, boost your productivity and reduce everyday stress. By attending this workshop, will gain a toolkit to manage the daily grind in a healthier way and leave with some strategies to use right away. Plus you'll meet a community other likeminded people! So you're just about to jump into summer "vacation"... now what? Transitioning from school or work into summertime mode isn't all sunshine and swimming pools. Any time we change routine, it can lead to stress, overwhelm, or anxiety. That's why we're hosting this FREE workshop on the tools & strategies needed for a smooth transition into new routines. Whether you're going from full-time to part-time, school to work, taking vacations, moving cities or jobs, or changing schedules, set yourself up for success with the right skill set and mindset for a sweet summer. Hosted by our very own Lisa Schwartz, MSW RSW & Jacob Ernst, MSW RSW, this workshop is focused on better enabling you to enjoy your summer, whatever it might have in store. Forget beach bods, let's get beach BRAINS! Join us at Shift on May 6th. Spaces are limited, so be sure to reserve your spot through Eventbrite early. See you there! Is fear a presence in your life? Does it hold you back from living a full life? Join Shannon Stach BASc, MSW, RSW and Lisa Mitchell M.Ed. RYT for an embodied workshop, Flowing Through Fear. At this workshop in the heart of Yorkville, you will learn more about fear, anxiety and doubt, discover how these feelings show up in your body and find strategies to work with these difficult feelings in a compassionate way. At the end of this two-hour workshop, you will leave with mindful practices and tools that will help you transform fear. Mindfulness, cognitive behavioural strategies, breath and yogic practices will be explored as ways to support and care for yourself. You will learn how to settle and ground yourself in times of challenge and re-connect with your own spaciousness and freedom. This workshop will be a unique blend of social work and yoga practice. Participants may expect some talking, experiencing and personal reflection to promote learning. Hand-outs will be provided with the hope that participants will implement some of these practices at home. No previous yoga experience is required – just a willingness to show up and connect with yourself. Tickets at $70 plus taxes and fees and they'll go quickly! As Shannon is a registered social worker, individuals with insurance can receive a receipt for reimbursement. This workshop will be capped at 10 people and will sell out. Register soon to secure your spot. Bring a yoga mat if you have one, otherwise one will be provided. Bring a waterbottle, notebook and pen. Lisa is a registered yoga teacher with more than 10 years experience. Her particular interest is in yoga’s amazing capacity to enhance emotional well being. 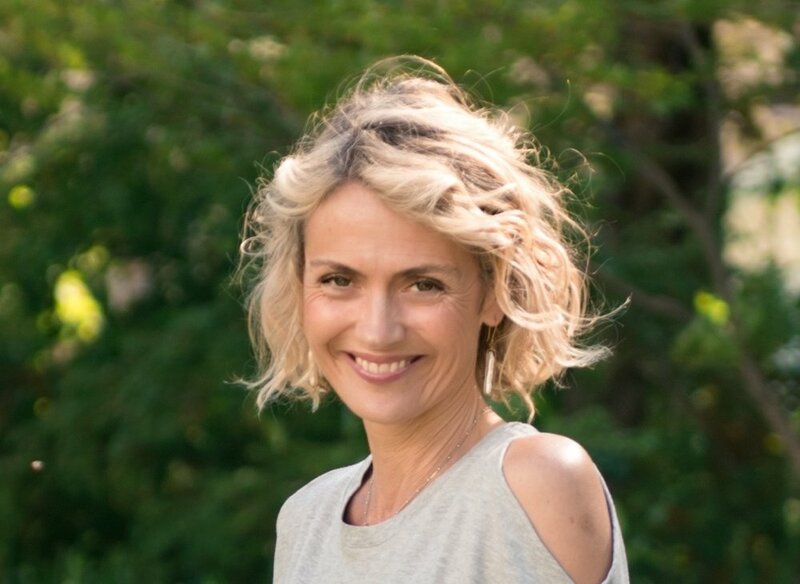 Lisa teaches yoga at 889 Yoga and also teaches trauma-informed private yoga, mindfulness and relational somatic inquiry at the Healing Therapy Alliance. A significant part of Lisa’s work entails helping individuals cope with anxiety, depression, stress, addiction, trauma and illness. In addition to being a yoga teacher, Lisa holds a Master of Education in Adult Education, Community Development and Counselling Psychology. Lisa is a mother to two daughters and has learned to flow with anxiety. Discover more about Lisa on her website www.lisamitchellyoga.ca. Shannon is a registered social worker and psychotherapist who has been advocating, informing, and healing those with experiences of mental health challenges for almost 10 years. With a passion to help others heal in their own capacity, Shannon left her job at a hospital outpatient service to pursue private practice and is enjoying the vulnerable and healing relationships and conversations she has with her clients. She finds that many of her clients are impacted by sometimes paralyzing anxiety and fear that impacts their ability to follow their dreams and passions, ultimately getting in the way of living a fulfilling and meaningful life. Shannon also teaches as a partial-load faculty at Durham College in their Social Service Worker Program. Shannon holds a Master of Social Work and a Post-Graduate Certificate in Addictions and Mental Health, along with individual certifications in Cognitive Behavioural Therapy, Mindfulness, and Acceptance and Commitment Therapy. Join us at the Shift Collab (14 Prince Arthur Ave, Suite 312) for a communi-tea workshop about... TEA! Spaces for this free workshop are limited! Secure your spot through Eventbrite. This is an interactive and skill-based mental health workshop. The goal of this workshop is to increase students' awareness of ways to support themselves and others from a mental health perspective. Participants will gain a new understanding of mental health from a trauma-informed perspective and will leave with concrete strategies and tools for embracing vulnerability and facilitating connection with peers. Participants are encouraged to bring their own questions with regards to mental health and will be given time to talk in small groups and ask questions to facilitators. Jacob Ernst, MSW RSW and Kayla Patchett, MSW RSW are Clinical Therapists at The Shift Collab, located steps away from St. George Station near University of Toronto's St. George campus. Jacob and Kayla provide therapeutic support to children, youth and adults experiencing a diverse range of mental health challenges which impacts their life socially, emotionally, psychologically & behaviourally. Jacob and Kayla have extensive experience supporting students understand themselves and their worlds through their supportive style and non-judgmental approach. Remember to sign up as there are limited spots! Registration is free but you must be a student at the University of Toronto! In honour of Canada’s Eating Disorder Awareness Week, we are offering a fun and interactive workshop that will help you combat your emotional or binge eating habits. Led by Jordan Axani, one of the Partners of Shift, this bootcamp will use a series of tools that Jordan has used to coach some of North America's top entrepreneurs, authors and speakers on understanding their story and how they can integrate it into their business. To kick off 2018, we are going to dig into your story. We are offering a FREE workshop that will help you understand who really are and give you actionable skills to share your uniqueness with others. Are you struggling in university? Do you feel stressed and overwhelmed by school and want to learn how to cope? Join us for a free workshop on managing academic stress. Join us for a remarkably intimate evening with one of the greatest storytellers of our time, Frank Warren.